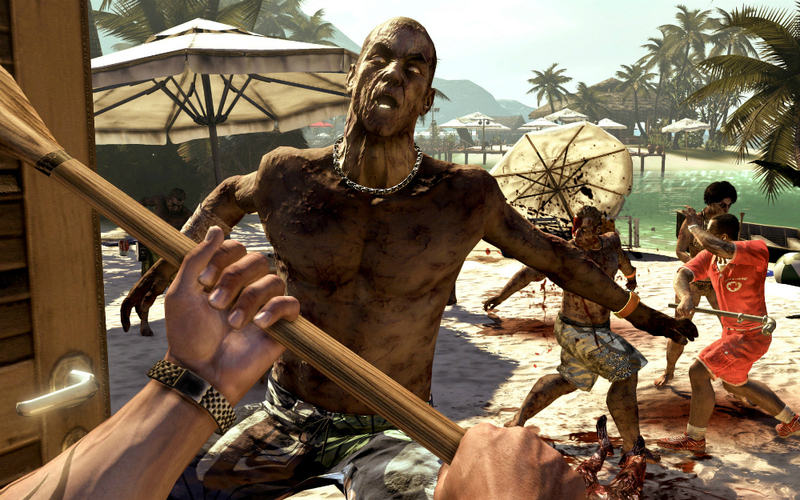 Videogame Verdict: ‘Dead Island’ Second Impressions – Now with Co-op! Now that I’ve gotten my initial impressions of ‘Dead Island’ out of the way, I’ve had a chance to settle in with the (rotting) meat of the game. This time, I managed to convince two other pals to pick up copies so that they could join me in further exploring the island of Banoi and its (mostly) undead residents. My first impressions of ‘Dead Island’ significantly lowered my expectations for how the game might change in co-op. However, those expectations spiked a little when I read that co-op was supposedly the way to play this game. With so many wonderful co-op titles, I have come to expect a pretty darn good group experience. The First strike with this one is that you can only play co-op online. There’s no split-screen mode. Strike Two (though perhaps I did something wrong when inviting other players) is that it seemed like the first 10-15 minutes of the game were relegated to single-player play before you can get you to the point where you join your co-op group. Hmmm, not a good start. Strike Three is a tad on the nitpicky side, but it’s something that seems simply incomprehensible. When your co-op group goes into a darkened room (small or otherwise), you can only see your own flashlight. For example, if both of my co-op pals have their flashlights on and I turn mine off, my view of the room is completely dark with nary a flashlight beam to be seen. This kind of small, easy detail that the game’s developers overlooked perhaps sheds some light on why they also overlooked a lot of other defects in this game. Having gotten over these bumps, my group set off moving through the story quests, which have definitely gotten better since my initial foray onto the island. I’ve been busting the developers’ chops a bit, so here’s some high praise: I really like how your player’s most important stats and meters aren’t displayed unless you hold down a button, leaving the whole screen available for the action. The vehicles are kind of fun too. Driving is a little tricky, but the controls are simple and it’s an utter hoot to run down the walking dead. I have also been enjoying the fact that the steering wheel in all the cars is on the right. Another game mechanic that has been fun to get more into is the “Fury” mode. Once you’ve unlocked it (by applying a skill point, gained from leveling up in the “Fury” skill tree) and have filled up your Fury Meter, you can hold down the Fury button to go into Fury mode. Fury mode allows you to inflict greater damage and move faster between zombies. It’s very handy in an undead crowd. The story itself hasn’t gotten any better, and there really haven’t been any encounters as tense and thrilling as the very first one. While having two other buddies to kick zombies with is surely more fun, the fact of the matter is that most of the run-ins with zombies have felt repetitive. The only saving grace has been our attempts at pinpointing limbs or necks to get the achievements/challenges for severing said pieces. My group stopped with about five hours of logged time together. I think the majority of the fun was solely based on having a new game to play with my friends. However, I wasn’t bothered by the visual defects and poor graphics nearly as much when I focused on the game’s strong points. Would I buy ‘Dead Island’ based on what I’ve seen so far? Still a no, but not nearly as definitely as my initial look. I’m planning to bring the game back very soon, unless something miraculous happens in this next session. Stay tuned! Wayne Rowe is a home theatre enthusiast and accomplished gamer. If you have an Xbox Live account, you have probably tasted his frag, or at least rocked a plastic guitar by his side. 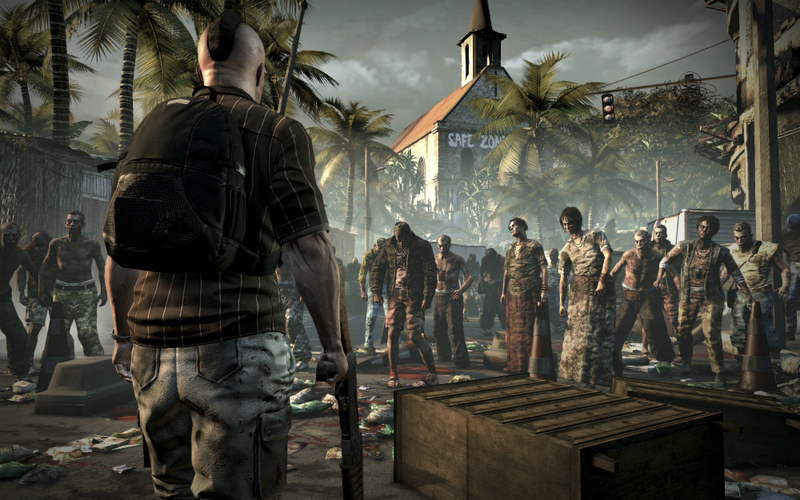 ‘Dead Island’ or ‘Resistance 3’? Which one should I buy if I can only afford one of them? I LOVED Resistance 1, strongly disliked R2 and haven’t played R3…I think DI is only worth $30, but if you like zombies and played Borderlands thru twice, you may actually like DI. Please let me know if ya got any more ?’s! Played Borderlands thru 4 times, once for each character, and even loved killing the Zombies of Dr. Ned eventhough it was the worst of the 3 Borderland’s DLC. Guess I ought to pick up DI soon. And Drew, I’m halfway through the R3 campaign and not loving it so far, for what it’s worth. Thanks for the input. I appreciate it! I’m pretty sure I’ve made a decision to purchase R3. DI seems like one of those games that I’ll turn on and have a lot of fun with the first time I play it, and then never turn it on again. Thanks for your thoughts Ed!